The Hertz Corporation launched the “Hertz for Heroes” campaign designed to honor and thank U.S. troops returning home. Hertz will donate a portion of each rental between Veterans Day, Nov. 11, and Dec. 31, towards a pool of free weekend rentals to be distributed to servicemen and servicewomen. The goal is to donate the equivalent of 40,000 free weekend rentals, an estimated value of $3 million. Hertz also announced that NDTA, the Association for Global Logistics & Transportation, a non-profit educational, defense transportation-oriented association, will partner with them in the campaign by assisting with the distribution of vouchers through various military channels and organizations. Transactions for Hertz Rent A Car, Hertz on Demand, Hertz Equipment Rental, Hertz Car Sales and Hertz Entertainment Services will be applied to the “Hertz for Heroes” program. Consumers finalizing their holiday travel plans are encouraged to join the effort by going to www.hertz.com to make reservations. Those interested in seeing how Hertz is tracking versus its goal can visit the webpage details. 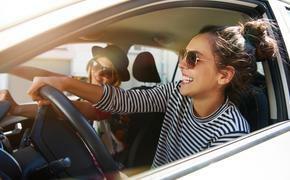 The free weekend rentals are good for a three-day weekend rental on a midsize car at any Hertz corporate airport or neighborhood location in North America. Redemption is subject to availability and there may be geographical restrictions. Hertz will begin distributing the vouchers in January 2012.